In 1961, Bertel Ekengren founds the Engineering Office Bertel Ekengren LP, which focuses on structural design. The office develops into a designer of challenging concrete structures, and many esteemed architects turn to the office for its services. 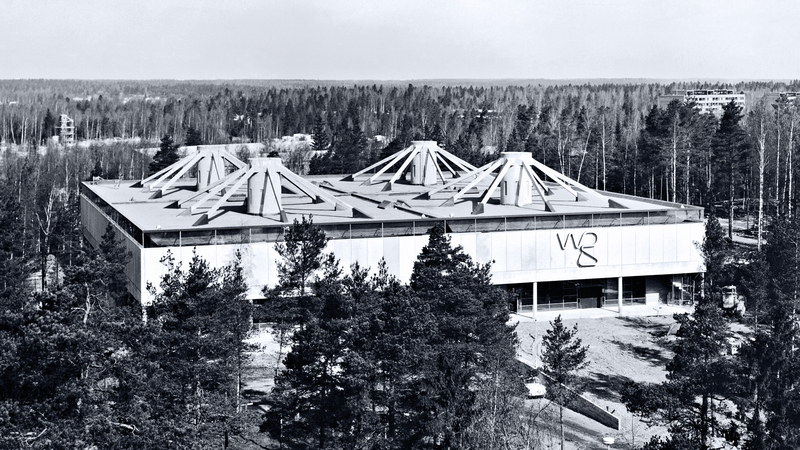 The most important design projects of the office’s early years include the Helsinki City Theatre, the Sibelius Monument, the Ratina Stadium in Tampere, and the Weilin & Göös printing house, whose modern structures speak even today in the form of the WeeGee Exhibition Centre. 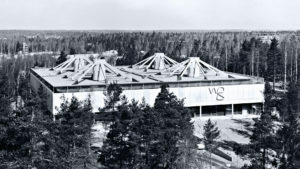 During the 1960s and 1970s, the company purchases one of the first computers in Finland and designs a software programme for calculating the salaries of construction companies. Business is going well until the number of personnel of the first construction company exceeds 1,000. Because of this, the output of the programme is incorrect and the engineering office has to pay a hefty penalty for damages. The company decides to return to basic business. 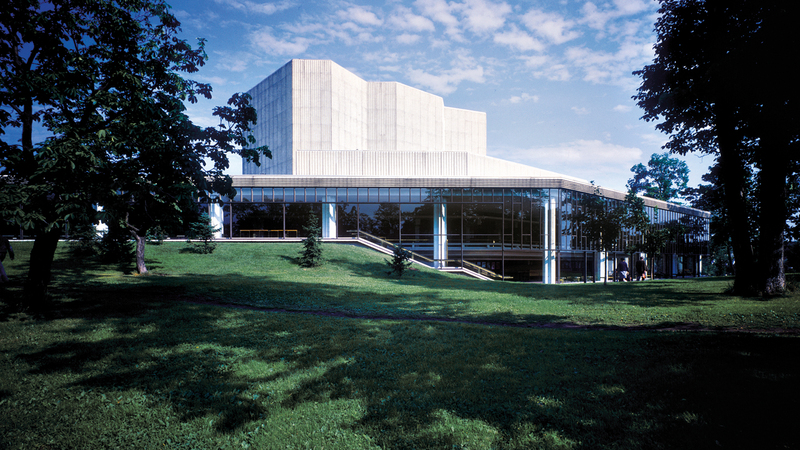 In the 1970s, the company takes total responsibility for building design (structural, architectural, HPAC and electrical design). Their designs include the Helsinki Exhibition & Convention Centre, the Wärtsilä dry dock, and the Wihuri Sandudd wallpaper factory. 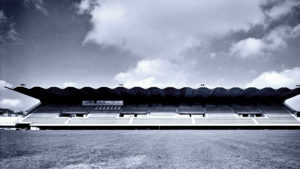 The late 1970s also witnesses the start of the company’s foreign projects. The company delivers more than a hundred projects to the former Soviet Union, Kazakhstan, Bahrain and Ethiopia, among others. The 1980s is, for EKE Group, an era of growth and major construction projects in the East. The increased numbers of personnel in turn plan and build factories, hospitals and entire residential villages across the Soviet Union. Domestically, the company renovates old buildings (including the Ateneum Art Museum) and starts its single-family home construction operations. The Group expands its operations to electronics and automation. Construction projects in the East require know-how on automation because the production lines of the factories that the company is building need to be automated. A young engineer who had joined EKE after leaving the Finnish Railways comes up with an idea: the route technology for combining process equipment can be applied to trains as well. Therefore, the company starts to develop the EKE-Trainnet together with the Finnish Railways. Bertel Ekengren believes in the development of the electronics industry so much that the Group acquires a 400-hectare land area for an electronics industrial park. The Sundsberg area is located only around 20 km from downtown Helsinki. The planning of the area is started, but the municipal town planning authorities are not excited about the project. 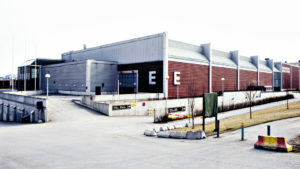 The 1990s is an era of significant changes in EKE Group. The collapse of the Soviet Union terminates major building contracts in the country. The Group’s construction operations move to Kazakhstan, which had started to develop its infrastructure with its wealth obtained from oil. The Group plans and builds, for instance, a power plant, waterworks and bakery in Kazakhstan. The construction projects are paid in oil. The group acquires a set of oil tank cars for transporting the high-quality oil to Finland, among others. Later, the Group starts to buy oil from Russia as well, and oil trading becomes the Group’s largest line of business considering turnover. EKE-Electronics Ltd starts its internationalisation after winning the tenders for the English Channel Tunnel shuttle and the London Underground. 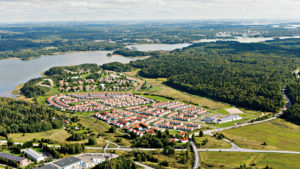 The town planning of the Sundsberg area has not advanced, but the Group continues housing construction operations in other locations. At the end of the decade, the Russian oil trade is taken over by the big players and EKE’s oil tank cars are rented out. The Finnish timber industry is in major need of birch, which there is plenty of in the Russian Karelia. However, transportation poses a problem. As EKE already has an organisation proficient in railway logistics and operating in Moscow, the Group decides to acquire 800 timber cars for the transportation needs of the Finnish timber industry. 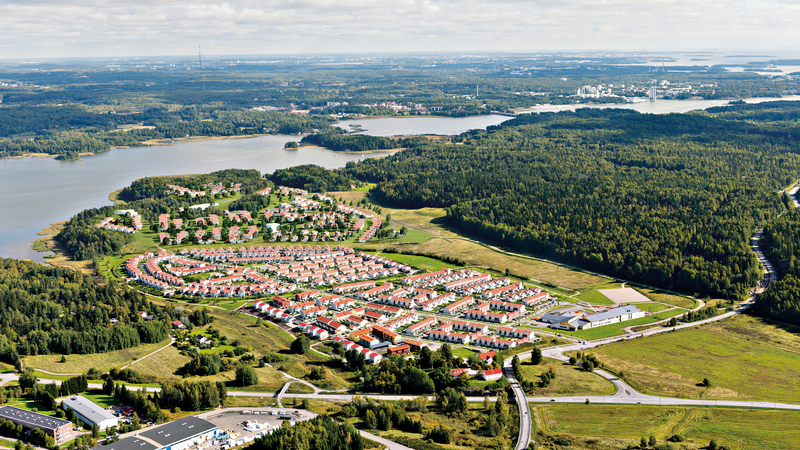 In the early 2000s, the planning of the Sundsberg area is finally moving ahead – increasingly more Finns move into the metropolitan area, and the Sundsberg area near the railway is seen as one of the best options for expanding the housing capacity. Planning and construction begins for the Sundsbergin Kartanoranta area that will accommodate around 2,600 residents. Sundsberg becomes the largest wooden house district in Finland. It is known for its village-like atmosphere and energetic resident activity, and it is selected as Finland’s fourth best neighbourhood in 2009. In the same year, the preliminary planning of Sundsberg’s centre area (ca. 300 ha) is started together with other landowners, the municipality, and Tekes, the Finnish Funding Agency for Technology and Innovation. In 2004, the construction of residential areas of single-family homes starts in Estonia as well. IBE Estonia builds high-quality residential areas of single-family homes, detached houses and semi-detached houses in Tallinn. Our largest residential area of single-family homes, Uuesalu, is headed by a village director, and Ulemiste aims to preserve the kind of village spirit found in Sundsberg as well. EKE-Latvia starts land purchases and housing construction in Latvia in 2006. Logistics house construction begins on the Aviapolis area next to the Helsinki Airport, on a plot that the Group has owned for a long time. The houses are designed according to the needs of long-term tenants. 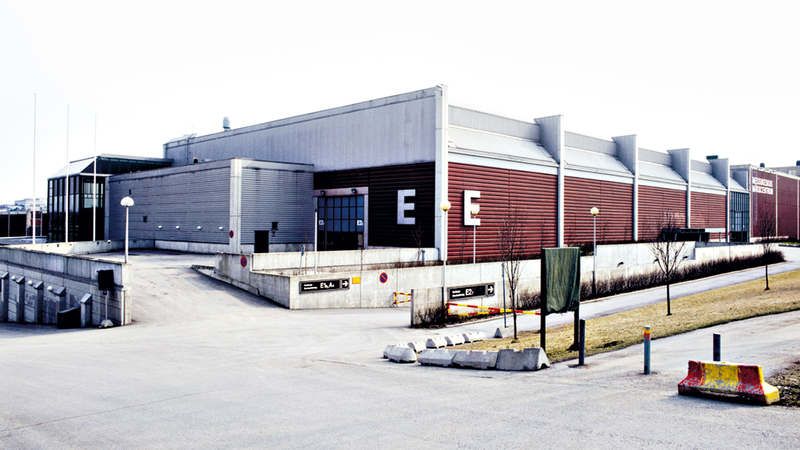 EKE-Electronics Ltd expands its operations to other European countries, Australia, China and Hong Kong. The company launches its new IP generation train management system and wins the tender for the largest project in its history: commuter trains in Sydney, Australia. The company is also renovating the Sao Paolo Metro in Brazil into the world’s first metro with IP based train management systems. The Group has a history as a family business, and it is undergoing a generation change one line of business at a time. Bertel Ekengren, the founder of EKE Group, is passionate about Russia and wants to return there as a constructor. When a plot opposite the St. Petersburg International Airport is offered for sale, an intensive design period starts, and the most intelligent solutions of concrete structural design are implemented once again. The first of the three 14-storey office buildings is commissioned in summer 2009. The global recession has a heavy impact on the office market of St. Petersburg as well, but the Finnish efficient spatial solutions, high technology and reliable service of Pulkovo Sky help to attract the best tenants. 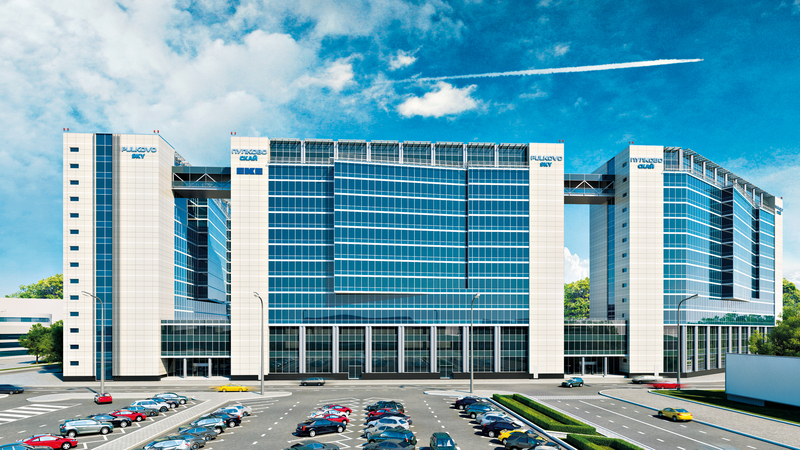 Today the business center Pulkovo Sky is one of the most demanded business centers in St. Petersburg. 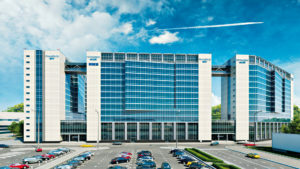 Office rooms of the business center are occupied for 100%, and anchor tenants are the most known Russian companies such as Gazprom, Sberbank and Business Lines. In summer 2013 EKE bought a land plot of one hectare on Vasilyevsky Island in St. Petersburg for housing construction. On the site it is planned to build 24 000 square meters of accommodation spaces with built-in rooms. A special feature of the apartment block “Two Centuries” is its architectural implementation: modern buildings with facial facades to the 18th line remind us of the 19th century, and buildings located in the inner yard are built in modern Scandinavian style. Construction began at the beginning of 2016 and will last till the middle of 2018.